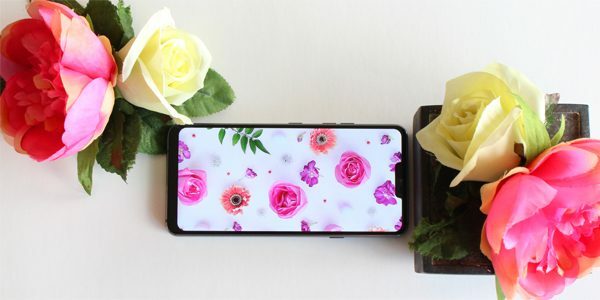 LG has taken key features we love and elevated them next level to create their newest (and smartest) smart phone, the LG G7 ThinQ. 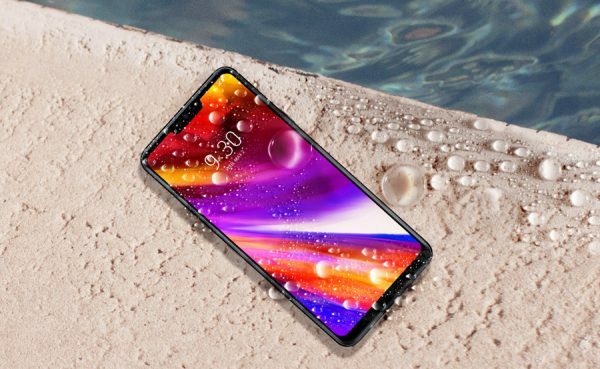 It has all the features we want like Gorilla Glass 5, lots of RAM, and a high-resolution display for vibrant, crisp and clear images, plus other great features that make this phone a must-have! The genius behind this design is using the inside of the phone as a resonance chamber, which vibrates the air to produce more sound. If you hold your finger close to the speaker you can actually feel the air (sound) being pushed out of the phone. You can even feel the rumble of the bass in your hand while holding the device! 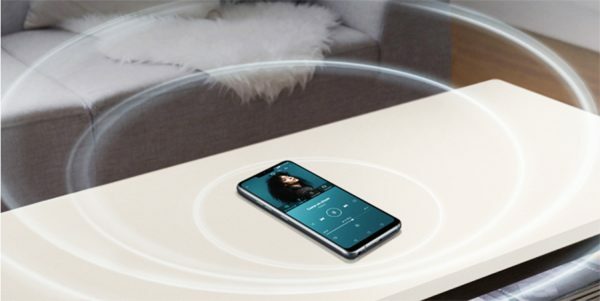 Since the entire phone is used to boost the sound, when you place it on a flat, hard surface you really get to hear the boom in this Boombox as it cranks up the volume while still delivering crisp and clear sound. LG knows that armed with a phone anyone can become an Insta-star, and that camera features are key when deciding what device to choose. So, they’ve created a system, the “AI Cam,” that is so intelligent that it can identify exactly what you’re shooting and will automatically suggest the best filter and angle to use. It sources from 1,162 image identifiers, and then categorizes it into 19 different scenes—like sunrise, pets or people—and gives you four filter options that will enhance the photo like optimizing contrast, saturation and colour. 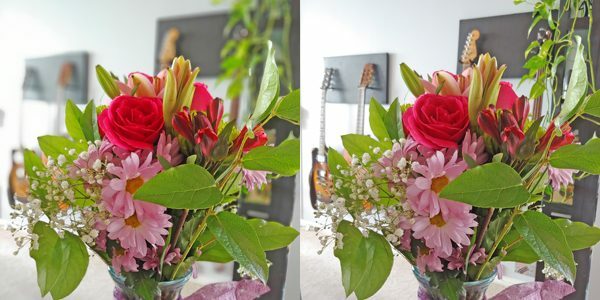 When you select portrait mode the G7 ThinQ automatically creates a depth map of the scene, then using the slider you can adjust the depth of field so the background is as clear or blurry as you like, which can help make the subject look sharper. Even after the photo is taken you can still make adjustments to get it just right. The dual 16-megapixel cameras and super wide-angle lens allows you to capture Insta-worthy shots, including large groups or landscapes, while the 8-megapixel front-facing camera is solid, so allows for great selfies. If you’re into music, and we mean really into music then you’ll appreciate that the G7 ThinQ has kept the 3.5mm headphone jack, which allows you to experience the Quad DAC for exceptional and explosive audio quality. It reduces distortion and noise when converting an audio file into sound, delivering better clarity, more immersive sound stage and increased overall playback volume. Put simply, the song you’re listing to will sound closer to the way it was originally recorded and meant to be heard. You can also adjust sound characteristics based on your preferences to change the mood and have a unique acoustic experience. Plus, the DTS:X 3D, 7.1 channel surround sound delivers cinematic audio and brings a new sense of realism to your listening experience. We love that this device has an IP68 rating. We’ve found out what that means, so you don’t have to! The IP Code or Ingress Protection Rating basically tells us how protected our phone is from solid objects like dust, dirt and sand (the first number) and water (the second number). Essentially an IP68 rating is the highest rating for solids, and resistant to submersion underwater for up to thirty minutes and up to a maximum depth of 1.5m. That said, I would be confident that if I dropped my phone into a glass of water, it would most likely be just fine. Although, I’m not brave enough to test that theory! The 5:9 aspect ratio, which makes it really easy to handle with one hand. Overall, great phone with everything I need!